Tazza is the Italian word for a vessel with a shallow bowl on a foot. This tazza was a typical drinking glass for wine. It required considerable skill and sophistication to be able to drink from such a shallow glass without spilling. The use of tazze (plural for tazza) was restricted to the higher classes in society. 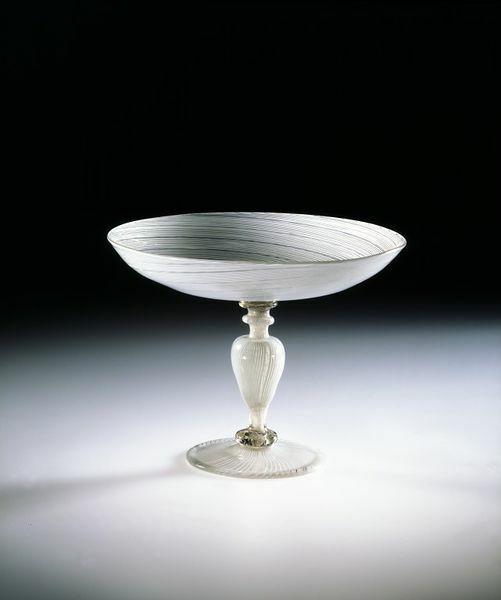 The particular shape of this tazza was typical for the second half of the 16th and the early 17th century. Similar objects were also made in silver or silver-gilt, and were used for both wine and dry sweetmeats. 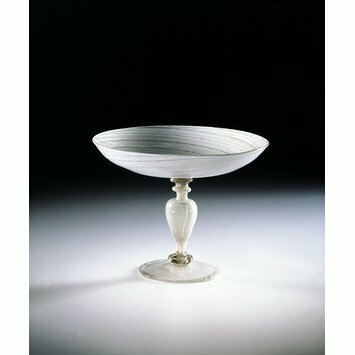 The international reputation of fine glassware from Venice had reached its peak by the 16th century. Sophisticated glassware was imported at great expense. Henry VIII's inventory of 1547 includes several sorts of Venetian glass, including some in 'diaper worke', which almost certainly refers to filigree glass. Tazza, probably Italy (Venice), , 1550-1650, 1860-1855 .